Today i will help you in increasing your Adsense CTR and CPC with right placement of ads in Below Titles and Above comment section. These 2 places are known for higher CTR. You will also learn how to Add Adsense widget to your blog. This is a complete tutorial for implementing ads on your blog. Like Wordpress Blogs we don't have Plugins to do this work at one click but we have this useful guide for doing same on blogspot blogs. 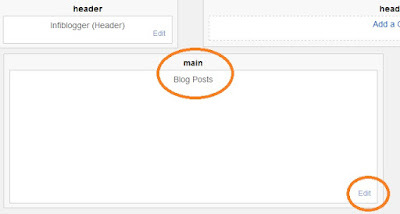 How to put Adsense on blogger Blog using Adsense widget. Step 1. Log in to your Dashboard. Step 2. Click on Layout. Step 3. Now your Blog's layout will open. find appropriate location for your Adsense ad. Step 4. Click on "ADD A GADGET" button in your layout. Step 5. Now a new popup will open just like below image. Now click on Adsense to add adsense widget. Step 6. Now select the format and color settings for your ads. For higher performance choose only recommended ad units. step 7. Save changes and see your blog. Step 1. Get your Adsense ad code from your Adsense account. Step 2. Open Adsense Parser. Step 3. Paste your Adsense ad code in textbox and click on encode button. Step 4. Copy your Parsed Adsense ad code and you are done. Step 1. Log in to your blogger blog. Step 2. Click Template >> Edit HTML . Step 3. Backup your template by selecting all the template code and pasting it on a notepad file. 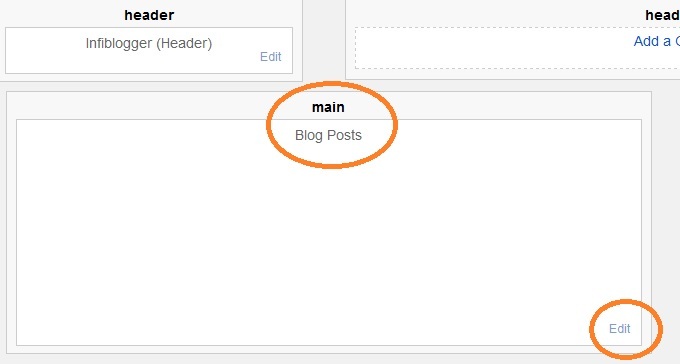 This step is mandatory as this will help you in restoring your changes if you make unnecessary changes or you delete blogger template code by mistake. Step 4. Press Ctrl+F to open Blogger's search box. Now find below code in your template. You will find this code more than one time in your template but you need to stop at the second one. Step 5. Now copy below code and paste it just above <data:post.body/> tag. Step 6. You already know how to parse your Google Adsense ad code. Now replace " PLACE YOUR PARSED ADSENSE AD CODE HERE " with your Google Adsense ad code. Step 7. Click on Save Template button and wait for the changes to be saved. Step 8. Open your blogger pages and check that it works or not. Step 9. If you are unable to make changes or by mistake you deleted your precious template code then please restore your template from your notepad file. Please note , Adsense will take few minutes before it will start showing your ads on your blog. So till then you have to wait for displaying ads. 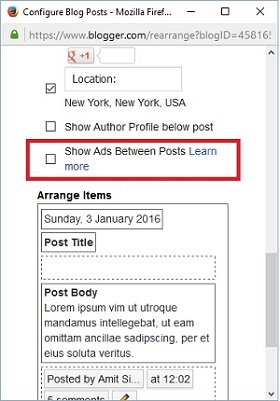 How to add ads between posts in blogger. Step 1. Go to your Dashboard >> Layout. Step 2. Click on Edit button under blog post. Step 3. A popup will open and you have to click on show ads between posts from the menu. Step 4. Click on Save and you are done. This is very simple to add adsense ads below post or at the end of post or just above comment section. This is easy because for implementing this type of ad placement we only require to put our code below <data:post.body/> and then your code will be displayed on post end and above comment section. So All the steps for this section will be same as for adding ads below post titles but only change in step 5. here we need to ad code below <data:post.body/>. Step 1. Parse your Ad Code by using Above mentioned Parsing Tool. Step 2. Open your post for editing and click on HTML. Step 3. Paste your parsed ad code anywhere you want to add. Step 4. Publish your article and You are done with your Customized ads. This blog post is very intresting and I always love informational post which helps us to increase our knowledge. Thank you for your wonderful post.best essay writing service provides writing help for those who seek help from them. hi blog author, thanks for getting this article because i am blogger and i want to show ads in between articles.